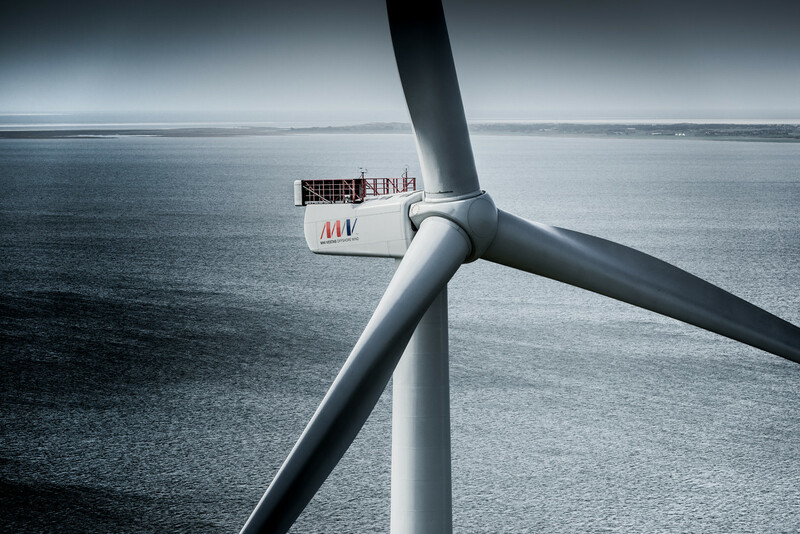 MHI Vestas Offshore Wind and Clemson University in South Carolina announced that the world’s most powerful wind turbine V164-9.5 MW will have all testing and verification of the wind turbine’s gearbox and main bearings carried out at the University’s state-of-the-art 15 MW test bench. The testing allows MHI Vestas to gain a better understanding of how the 9.5 MW gearbox and bearings will react over the course of a 20+ year lifecycle. Through the utilization of big data from the test results, MHI Vestas can optimize the service strategy for the turbine to ensure optimum reliability and minimize the fatigue on components. The V164-9.5 MW wind turbine is the turbine most likely to be used for the first round of major offshore wind projects in the United States. The US$ 35 million total project investment will direct as much as US$ 23 million over five years to Clemson and stimulate the employment of a dozen hi-tech jobs. The deal with Clemson University marks MHI Vestas Offshore Wind’s first major investment in the United States. MHI Vestas testing footprint includes facilities in Denmark (Århus and Lindø), the United Kingdom (Isle of Wight), and now a relationship with the Clemson University facility in the U.S. In November 2009, the U.S. Department of Energy awarded Clemson University in South Carolina the largest grant in the university’s history to build and operate a facility to test next-generation wind-turbine drivetrain technology. The award represented an enormous economic development opportunity for the region. The 82,000-square-foot facility was designed to house not only the wind-turbine drivetrain testing facility, but also grid integration studies. Space in the Energy Innovation Center is designed for public-private partnerships to house Clemson University personnel and students with company partners. The Energy Innovation Center can test drivetrains on two test rigs: one up to 7.5 MW and the other up to 15 MW. The US$ 98 million testing facility was funded by a US$ 45 million Energy Department grant and matched by US$ 53 million of public and private funds. The grant’s objective is to accelerate development of new technology for the wind market to reduce the cost of energy. The facility’s mission is to provide high value, high quality and cost-competitive testing services to industry, and to establish long-term workforce development, research and education partnerships.